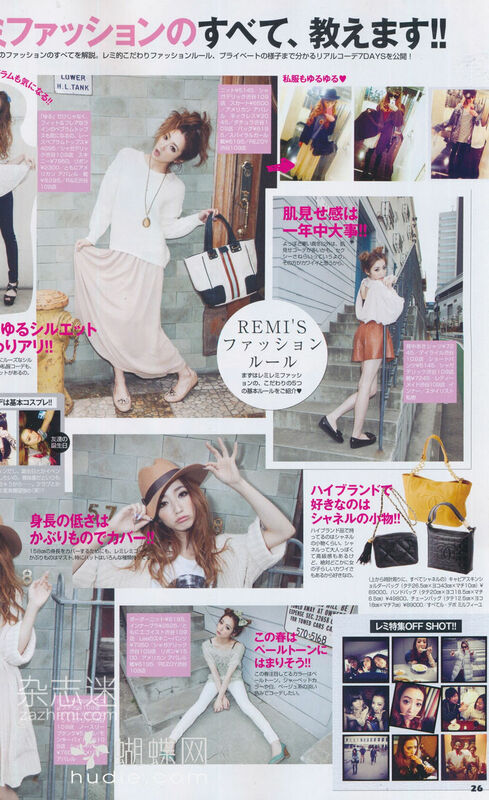 If you’re really hooked on pastel colors like me I suggest you to take a look on the May issue of Jelly. So many lovely pictures. I am going to make an inspiration post of it. But first I just have to share some pictures of Ayumi in it. So lovely~! I swear that woman looks good in anything, with any hairstyle and any colors. She has always been a huge inspiration source for me. This entry was posted in Fashion, Inspiration and tagged Fashion, Inspiration, Japanese magazine, Jelly 1205, Pastel colors on 05/05/2012 by EdgyPop. 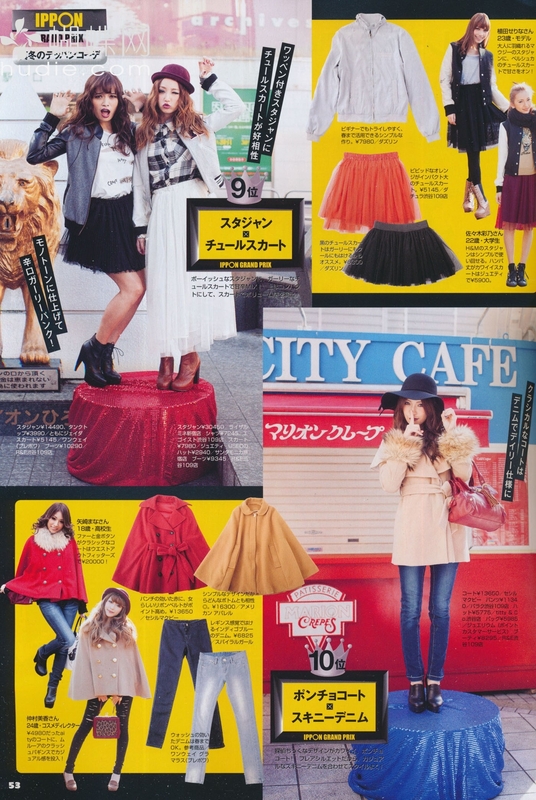 This entry was posted in Inspiration and tagged Fashion, Inspiration, Japanese Fashion, Japanese magazine, Jelly 1203 on 26/03/2012 by EdgyPop. March issue of Happie nuts have been so awesome in many ways! 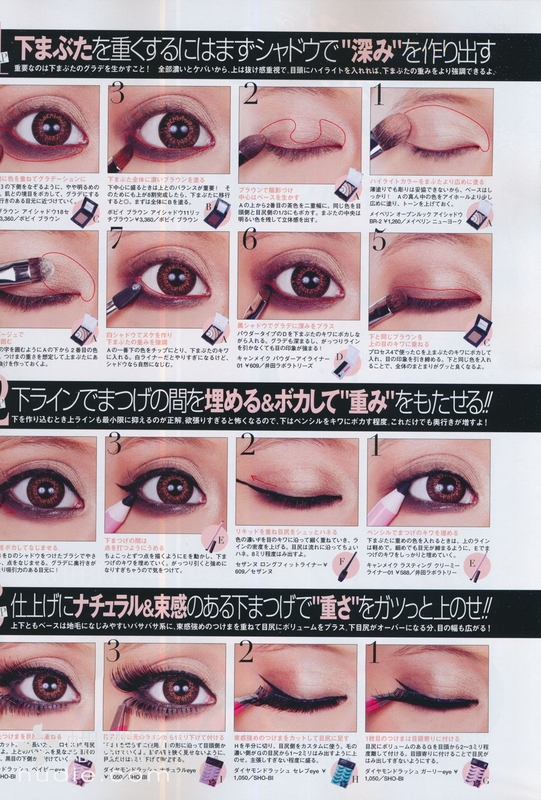 I absolutely love this make-up and tutorial, I might have to try to follow it for once. Not just love what i see. 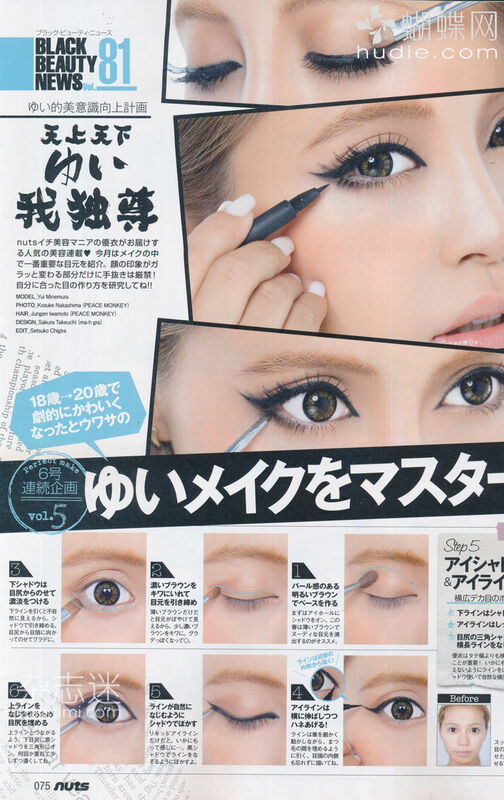 A bit lighter eyeshadow than what I’m fond of, but the heavy eyeliner and lashes compensate for it. Also love the light pink lips in contrast of the framed eyes. Adore these outfits, so edgy and stylish~ I need to get hold on tights with dotted pattern, and maybe try to give fishnet stocking another try? I also might have to consider finding the perfect denim jacket for spring season instead of the perfect leather jacket! I wonder how I am supposed to dress up in lighter colors when all I love and get inspired by is dark colors. Love the outfit with the denim shorts matched with a black blazer, and the over-sized top matched with the floral patterned pants. I also like the outfit with the brown over-knee boots, it’s a bit more layering than what I’m fond of. Sounds crazy, eh? I used to be the queen of layers before. I still love every piece of clothing she is wearing tho! 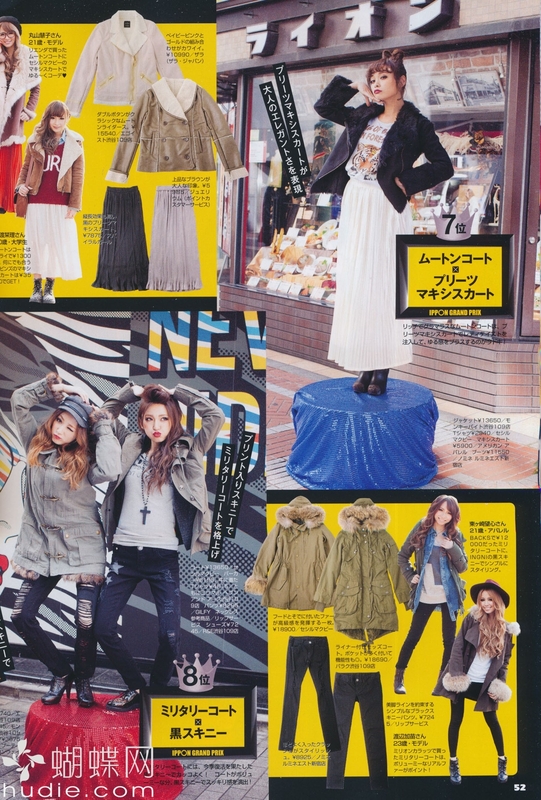 This entry was posted in Uncategorized and tagged Fashion, Gyaru, Happie Nuts 1203, Inspiration, Japanese magazine on 10/03/2012 by EdgyPop.